The army should be given a free hand to take appropriate action against Pakistan for the beheading of two Indian soldiers, former defence minister A K Antony said on Tuesday. The Congress leader also raised questions over the security along the Line of Control with Pakistan, saying the incident has affected the prestige, respect and morale of the Indian Army. Asserting that he was not seeking to politicise the issue, Antony said while only one incident of mutilation happened during his eight-year stint as defence minister, the last three years have witnessed three such incidents. Army Junior Commissioned Officer Naib Subedar Paramjeet Singh and Border Security Force head constable Prem Sagar were killed and their bodies mutilated by a Pakistan army team which sneaked about 250 metres into Indian territory along the Line of Control in Poonch district of Jammu and Kashmir on Monday. “I have no words to say about the cruelty of the Pakistan Army. So the government must give a free hand to the army to handle it in its own way,” Antony told reporters. 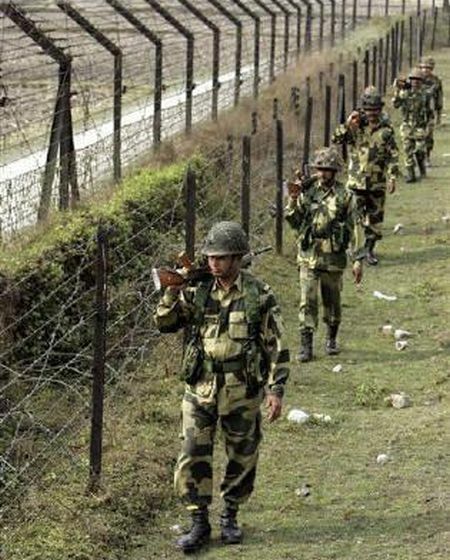 “Continued attack in Kashmir has put a question mark about security in the border. I think, it has affected the prestige, respect and morale of the Indian Army. “My only request to the government is give freedom to the army to take appropriate action at an appropriate time. My message is give freedom to the army to take appropriate action as a reaction towards the inhuman, barbaric acts of Pakistan,” he said. Modi-Sharif meeting: Can we expect a deal for Jadhav?